Beta 1/4 '' long 8mm hex head is a replaceable cap designed for use with other Beta tools. Allows fast fastening and loosening of bolts or nuts using an attached ratchet handle or a knob with socket for sockets. Place the product in a 1/4 "socket for attachments. The replaceable socket system provides a full range of tools at an affordable price. In addition, it takes up little space, is light and easy to carry. Name Beta Socket Long 1/4" Drive Hex. -8Mm Beta Socket Long 1/4" Drive Hex. -4Mm Beta Socket Long 1/4" Drive Hex. -4.5Mm Beta Socket Long 1/4" Drive Hex. -5Mm Beta Socket Long 1/4" Drive Hex. -5.5Mm Beta Socket Long 1/4" Drive Hex. -6Mm Beta Socket Long 1/4" Drive Hex. -7Mm Beta Socket Long 1/4" Drive Hex. 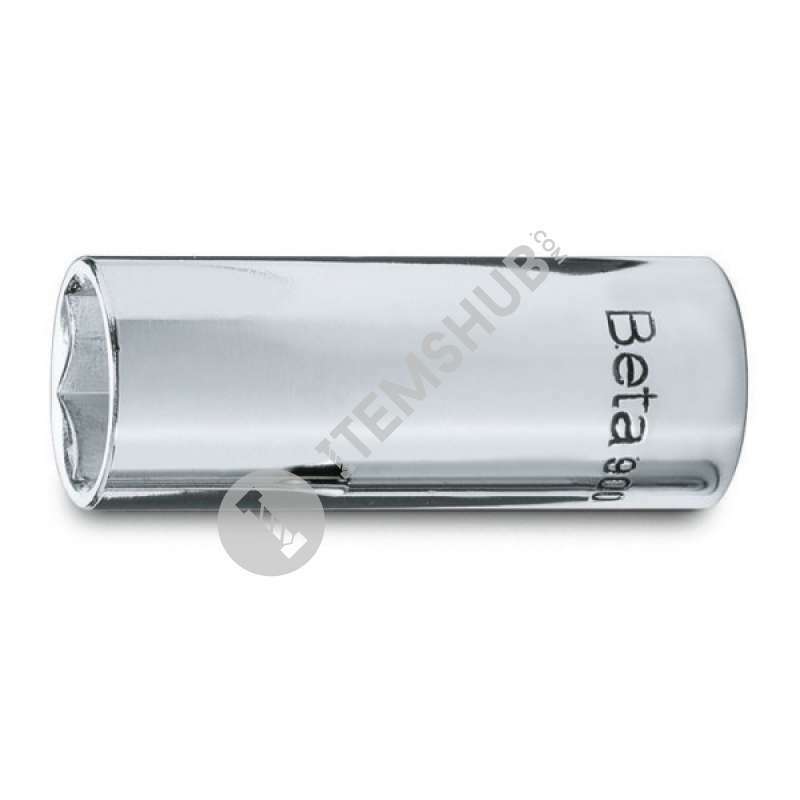 -9Mm Beta Socket Long 1/4" Drive Hex. -10Mm Beta Socket Long 1/4" Drive Hex. -11Mm Beta Socket Long 1/4" Drive Hex. -12Mm Beta Socket Long 1/4" Drive Hex. -13Mm Beta Socket Long 1/4" Drive Hex. -14Mm Beta 900Mb/L10 Socket Long 1/4" Drive Hex. -10Mm Beta Socket Long 1/4" Drive Hex. -3/16" Beta Socket Long 1/4" Drive Hex. -7/32" Beta Socket Long 1/4" Drive Hex. -1/4"
Summary Beta 1/4 '' long 8mm hex head is a replaceable cap designed for use with other Beta tools. Allows fast fastening and loosening of bolts or nuts using an attached ratchet handle or a knob with so.. Beta 1/4 '' long 4mm hex head is a replaceable cap designed for use with other Beta tools. Allows fast fastening and loosening of bolts or nuts using an attached ratchet handle or a knob with so.. Beta 1/4 '' long 4.5mm hex head is a replaceable cap designed for use with other Beta tools. Allows fast fastening and loosening of bolts or nuts using an attached ratchet handle or a knob with .. Beta 1/4 '' long 5mm hex head is a replaceable cap designed for use with other Beta tools. Allows fast fastening and loosening of bolts or nuts using an attached ratchet handle or a knob with so.. Beta 1/4 '' long 5.5mm hex head is a replaceable cap designed for use with other Beta tools. Allows fast fastening and loosening of bolts or nuts using an attached ratchet handle or a knob with .. Beta 1/4 '' long 6mm hex head is a replaceable cap designed for use with other Beta tools. Allows fast fastening and loosening of bolts or nuts using an attached ratchet handle or a knob with so.. Beta 1/4 '' long 7mm hex head is a replaceable cap designed for use with other Beta tools. Allows fast fastening and loosening of bolts or nuts using an attached ratchet handle or a knob with so.. Beta 1/4 '' long 9mm hex head is a replaceable cap designed for use with other Beta tools. Allows fast fastening and loosening of bolts or nuts using an attached ratchet handle or a knob with so.. Beta 1/4 '' long 10mm hex head is a replaceable cap designed for use with other Beta tools. Allows fast fastening and loosening of bolts or nuts using an attached ratchet handle or a knob with s.. Beta 1/4 '' long 11mm hex head is a replaceable cap designed for use with other Beta tools. Allows fast fastening and loosening of bolts or nuts using an attached ratchet handle or a knob with s.. Beta 1/4 '' long 12mm hex head is a replaceable cap designed for use with other Beta tools. Allows fast fastening and loosening of bolts or nuts using an attached ratchet handle or a knob with s.. Beta 1/4 '' long 13mm hex head is a replaceable cap designed for use with other Beta tools. Allows fast fastening and loosening of bolts or nuts using an attached ratchet handle or a knob with s.. Beta 1/4 '' long 14mm hex head is a replaceable cap designed for use with other Beta tools. Allows fast fastening and loosening of bolts or nuts using an attached ratchet handle or a knob with s.. Beta 1/4 '' long 10mm hex head is a replaceable cap designed for use with other Beta tools. Allows fast fastening and loosening of bolts or nuts using an attached ratchet handle or a knob with s.. Beta 1/4 '' long 3/16" hex head is a replaceable cap designed for use with other Beta tools. Allows fast fastening and loosening of bolts or nuts using an attached ratchet handle or a knob with .. Beta 1/4 '' long 7/32" hex head is a replaceable cap designed for use with other Beta tools. Allows fast fastening and loosening of bolts or nuts using an attached ratchet handle or a knob with .. Beta 1/4 '' long 1/4" hex head is a replaceable cap designed for use with other Beta tools. Allows fast fastening and loosening of bolts or nuts using an attached ratchet handle or a knob with s..